As WWII ration cards and battle scars become commonplace across America, it seems to Evelyn that even love is rationed out. When she finds a message from her late husband tucked inside a music box, Jim’s words have the power to change her life: Don't die with me. Words written out of love, long-lost but never forgotten. Grief stricken, Evelyn is unsure of how to honor his request, but she finds the courage to keep on living. Jim’s note urges her to give the music box away to unlock the secret within, and although it breaks her heart again, Evelyn trades the music box for a cradle to hold her infant son. Thus begins the decades-long journey of the music box, mending broken hearts, reuniting lost loves, and giving people the courage to heal themselves along the way. 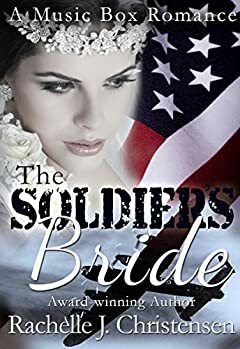 This romance crosses battlefields and time as the music box touches the lives of two soldiers, a broken father, a crippled child, a struggling farmer, and a woman once called the soldier's bride.